99 Lac (Negotiable) 4500 per Sq. Ft.
1.85 Cr (Negotiable) 7872.34 per Sq. Ft.
85 Lac (Negotiable) 5312.5 per Sq. 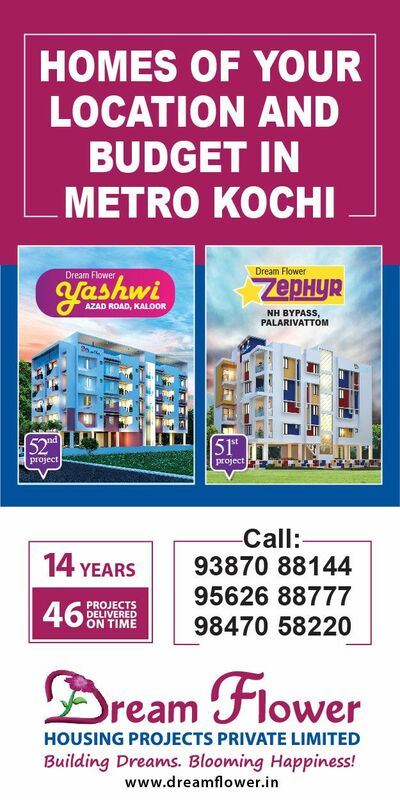 Ft.
3 BHK Residential Villa for Sale in Kakkanad, Just 800M FROM SEAPORT AIRPORT ROAD ▪Behind Naipunya School, GATED VILLA PROJECT NEAR INFOPARK KAKKANAD & @MAVEL..
52 Lac (Negotiable) 3466.67 per Sq. Ft.
Ready to occupy 1500SqFt 3 bedroom villa near Athani, Thrissur. Land area -8.5cents. Villa comprises of : Ground floor- Sitout, living area, dining hall, thr..
Queens Mead, complementing the incredible royal charm connected to its name, this unique project from the renowned Tulsi Builders is a timeless tribute to those wh..
50 Lac (Negotiable) 2472.8 per Sq. Ft.
Imperial Gardens is our latest venture of 20 independent villas , in a well fenced and spacious compound and in a good neighbourhood.This prestigious project is l.. The contemporary magnificent villas !!! An exclusive gated community of Duplex Villas with the finest finishing and architecture that promises the quality of livi..